The Samsung Galaxy Note Edge was launched along with the Samsung Galaxy Note 4 in September, 2014. The Samsung Galaxy Note Edge is very similar to the Galaxy Note 4, except that it has a revolutionary ‘Edge’. The Galaxy Note Edge’s unique curved Edge screen provides quick access to frequently used apps, alerts, notifications and device functionality without distraction. We have handpicked the best Samsung Galaxy Note Edge cases/covers just for you. 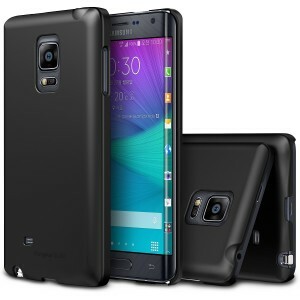 Listed below are the top 10 best Samsung Galaxy Note Edge cases and covers. 1. 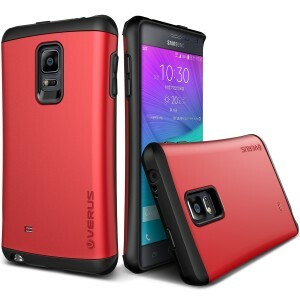 Verus Thor Series Samsung Galaxy Note Edge Case: The Verus Thor Series Samsung Galaxy Note Edge Case makes your large Samsung Galaxy Note Edge look sleek with its slimline design. The slimline design also offers a comfortable and natural grip. The Verus Thor Series Samsung Galaxy Note Edge Case has a luxurious matte finish with rubberized edges and looks great. The case is available in 4 colors. 2. 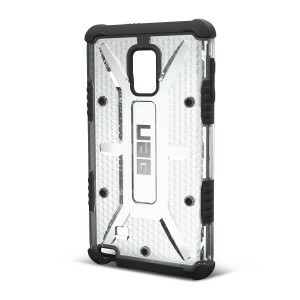 Urban Armor Gear Case for Samsung Galaxy Note Edge: The Samsung Galaxy Note Edge is a very expensive smartphone. The Urban Armor Gear Case for Samsung Galaxy Note Edge provides excellent protection against drops, bumps and scratches. The Urban Armor Gear Case meets military drop-test standards even though it is feather-light. The Urban Armor Gear Case for Samsung Galaxy Note Edge also has scratch-resistant skid pads and screen surround. 3. Tridea Premium Leather TPU Case for Samsung Galaxy Note Edge: The Tridea Premium Leather TPU Case for Samsung Galaxy Note Edge has a premium Korean leather pattern PU finish back. 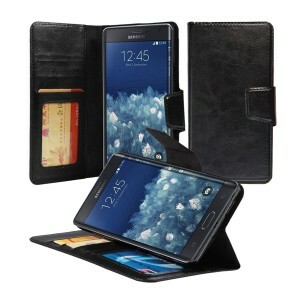 The case is available in leather, leather crocodile and leather snake skin patterns. 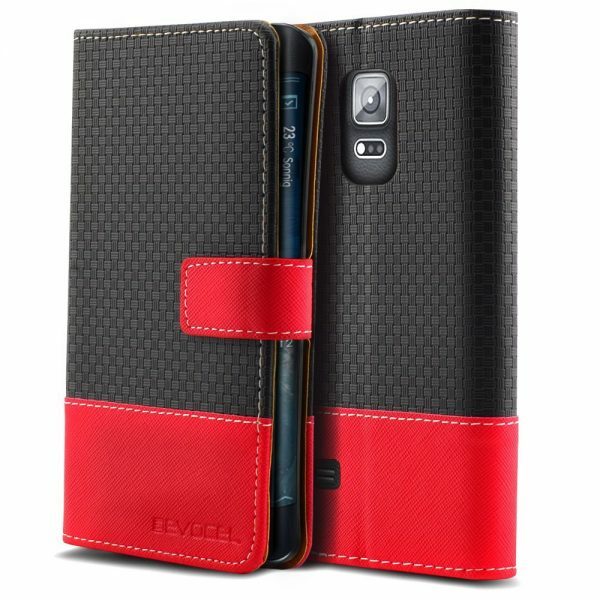 The Tridea Premium Leather TPU Case for Samsung Galaxy Note Edge also has storage for credit cards/business cards. 4. 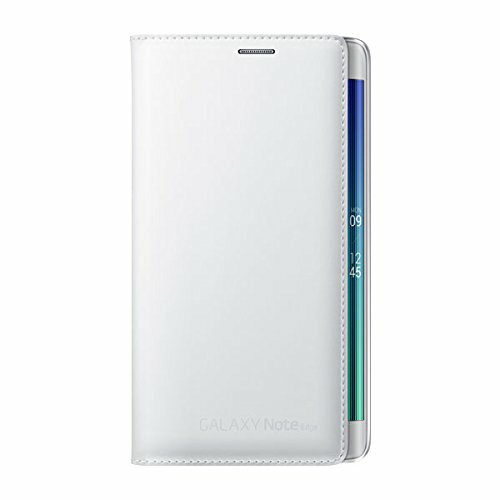 Samsung Galaxy Note Edge Wallet Flip Cover from Samsung: This original accessory from Samsung lets you interact with the smartphone’s Edge screen even when the cover is closed. 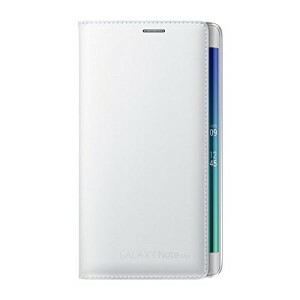 The Samsung Galaxy Note Edge Wallet Flip Cover from Samsung features card slots for credit cards, bank cards, business cards, ID cards etc. and is available in 2 colors: black and white. 5. 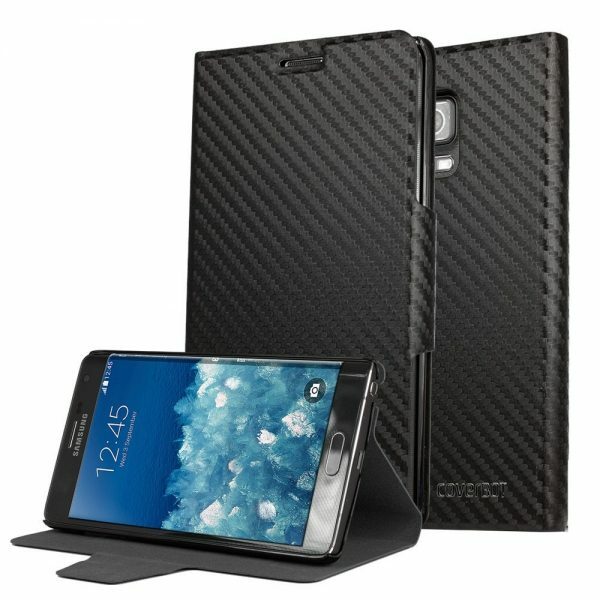 CoverBot Samsung Galaxy Note Edge Folio Flip Wallet Case Cover: The CoverBot Samsung Galaxy Note Edge Folio Flip Wallet Case Cover is available in 5 colors and looks very good in the carbon fiber color. 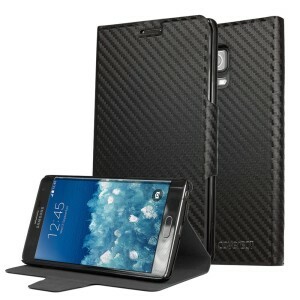 The CoverBot Samsung Galaxy Note Edge Folio Flip Wallet Case Cover also functions as a built-in stand. 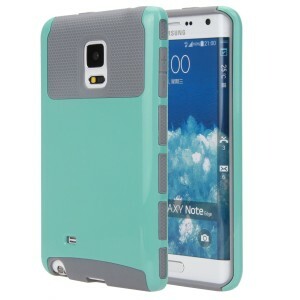 The case is available in 5 colors. 6. E LV Samsung Galaxy Note Edge Case: The E LV Samsung Galaxy Note Edge Case has a premium coating for soft texture. 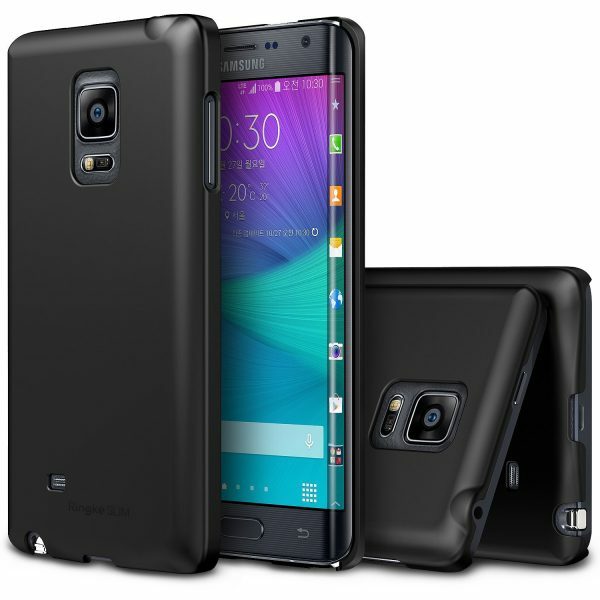 The case also has shock absorbing bumpers to protect the Galaxy Note Edge from bumps and drops. 7. Evocel Samsung Galaxy Note Edge Slim Wallet Book Case Cover: The Evocel Samsung Galaxy Note Edge Slim Wallet Book Case Cover is extremely stylish with its elegant design and textured surface. 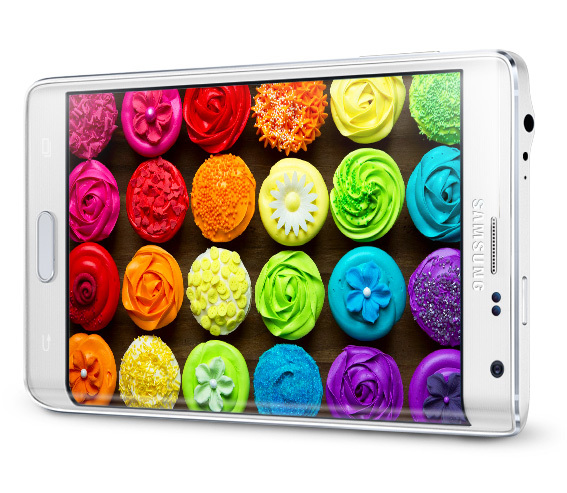 The Samsung Galaxy Note Edge comes in 6 beautiful designs. 8. AceAbove Samsung Galaxy Note Edge Wallet Case Flip Cover: The AceAbove Samsung Galaxy Note Edge Wallet Case Flip Cover is made with premium PU leather and has pockets for bank cards and cash. 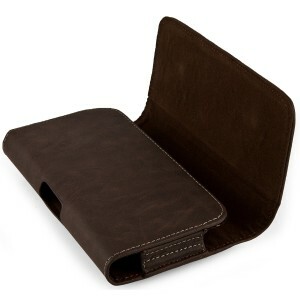 The AceAbove Samsung Galaxy Note Edge Wallet Case Flip Cover also functions as a built-in stand for your smartphone. 9. Ringke Slim Case for Samsung Galaxy Note Edge: This Ringke case is super-slim and adds minimal bulk to the Samsung Galaxy Note Edge. 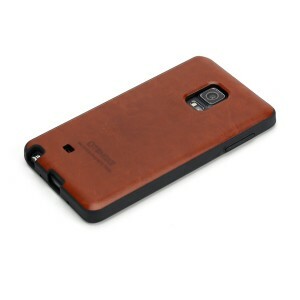 The Ringke Slim Case for Samsung Galaxy Note Edge also offers perfect natural grip. 10. SumacLife Samsung Galaxy Note Edge Leather Holster Case Pouch: This premium faux leather protective holster carrying case has a fixed belt clip to carry the case on your belt. The SumacLife Samsung Galaxy Note Edge Leather Holster Case Pouch is available in 4 colors. 11. 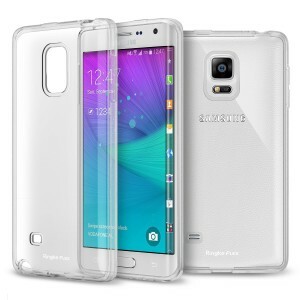 Ringke FLEX Samsung Galaxy Note Edge Transparent Gel Case: If you need a good transparent case for the Samsung Galaxy Note Edge, the Ringke FLEX Samsung Galaxy Note Edge Transparent Gel Case is a very good choice. These are the top 10 best Samsung Galaxy Note Edge cases and covers. where can i buy all case in Lao PDR?